If you are from Toronto, as I am, New York City is not the first place that comes to mind when planning a winter getaway. There’s snow here. There’s snow there. In fact, there is so much snow in both locations, that on the day I traveled to NYC, the usual 1.5 hour flight between the two cities, turned into an eight hour adventure. But an hour hovering at 10,000 feet, a landing in Newark, a fuel refill and two packages of pretzels later, we landed in LaGuardia, just as planned. At last, I was in New York City. That’s all that mattered. “To the Waldorf Astoria, please,” I announced to the driver sitting behind the wheel of the yellow New York City cab. No further directions were needed. I was on my way. I had wanted my NYC break to be elegant and luxurious. Life is short after all. The Waldorf Astoria New York, was my escape. An official New York City landmark since 1993, the Waldorf Astoria occupies an entire city block of prime mid-town Manhattan real estate. This 47-storied, 625-feet structure is one of the world’s largest art deco buildings. A bit of history: Millionaire William Waldorf Astor, opened his 13-storied hotel on March 24, 1893. 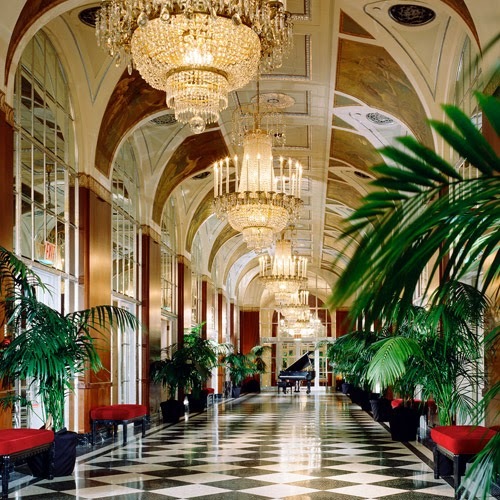 Built by renowned architect, Henry Hardenbergh, the hotel embodied Astor’s vision of what a grand hotel should be. It included many firsts, in the long-line of Waldorf firsts. Electricity was provided throughout the hotel and in many of the guest rooms, private bathrooms were a standard. In 1929, after decades of hosting distinguished visitors from around the world, the Waldorf Astoria Hotel closed to make way for a reincarnation of 15 blocks north on Park Avenue. On October 1, 1931, the current hotel was opened. At the time, it was the world’s largest and tallest hotel. 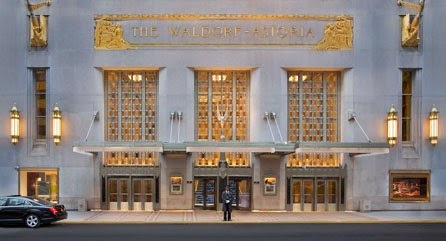 Today, the Waldorf Astoria New York, continues to be one of the most beloved and utilized institutions. 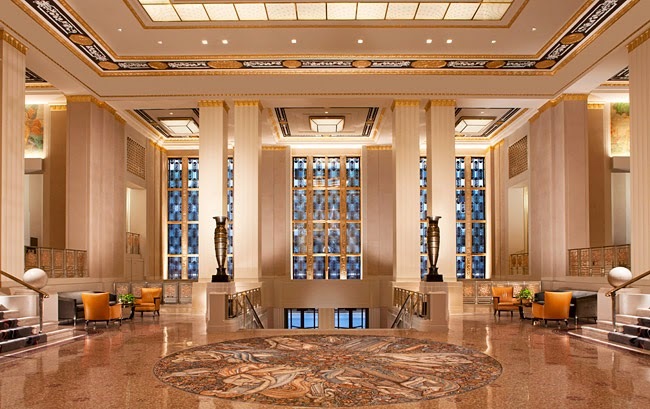 The hotel, along with the Towers of the Waldorf Astoria, offers 1,415 guestrooms and suites. Ascending the marble staircase into the main lobby, the 'Circle of Life' mosaic awaits you. I couldn’t help but to think of all the famous footsteps that have made their way over that same staircase. Composer, Cole Porter, made his home here for 25 years. His piano rests in the hotel’s signature restaurant, Peacock Alley. 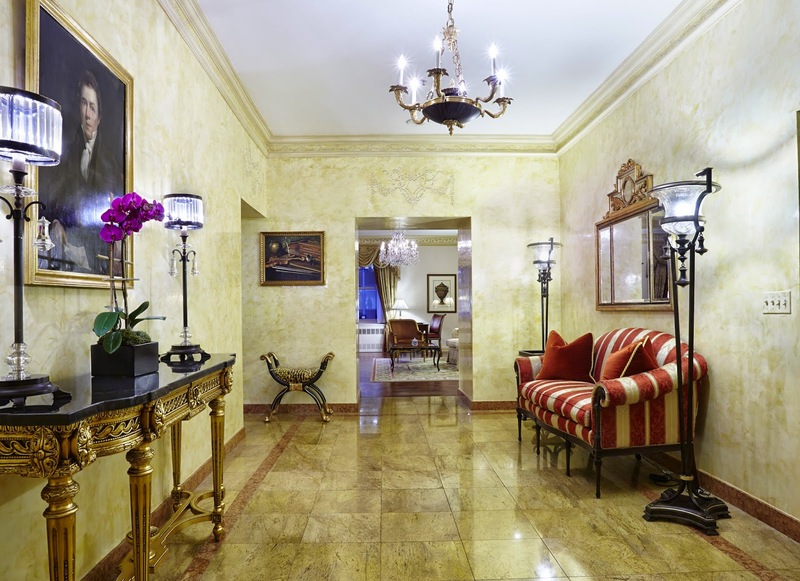 When in New York, The Presidential Suite has been home to every President since Herbert Hoover. The Royal Suite was home to The Duke and Duchess of Windsor. Black and white photos hang throughout the hotel’s corridors. I spent a few hours roaming the halls, looking at the photos and reading the captions. 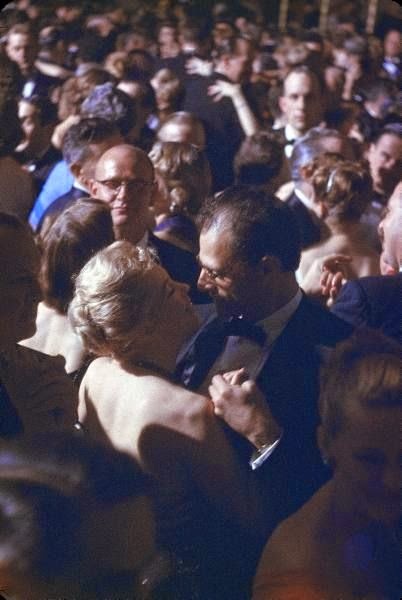 Famous faces of men wearing tuxedos and women in ball gowns smiled back at me. 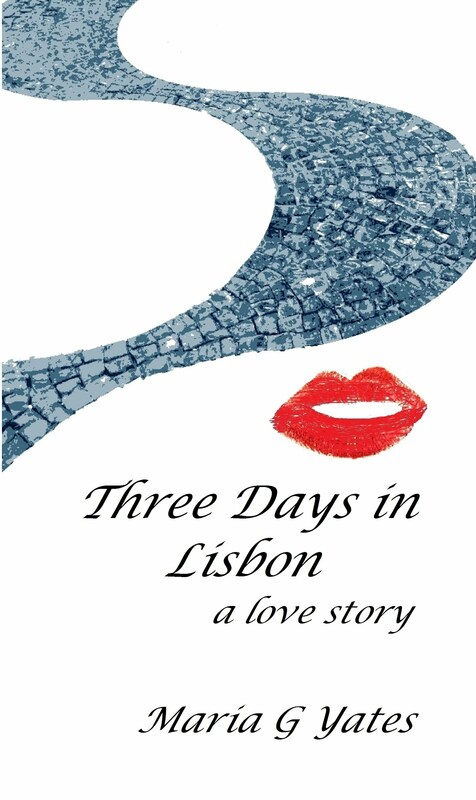 I fantasized about the romance and elegance of a by-gone era. I'm certain I was born a couple of decades too late. During my two-night stay, I had opportunity to dine in two of the hotel’s three restaurants. Dinner at the Bull and Bear Prime Steakhouse was an event. Although Bull and Bear is known for its steak, I opted for the shellfish platter. Oysters, Gulf Shrimp, Main Lobster, Jumbo Lump Crab and Alaska King Crab, all laid out on a bed of crushed ice, arrived at my table. Drawn butter accompanied it on the side. A cool chardonnay washed it all down. Bull and Bear is also home to one of New York City’s most recognizable bars. The evening began around it. Breakfast found me at Oscar’s American Brasserie. This particular restaurant is named after legendary maitre d’ Oscar Tschirky, the man credited with creating the Waldorf Salad, Eggs Benedict and Oscar Veal, among other dishes. Breakfast here was a culinary pilgrimage. 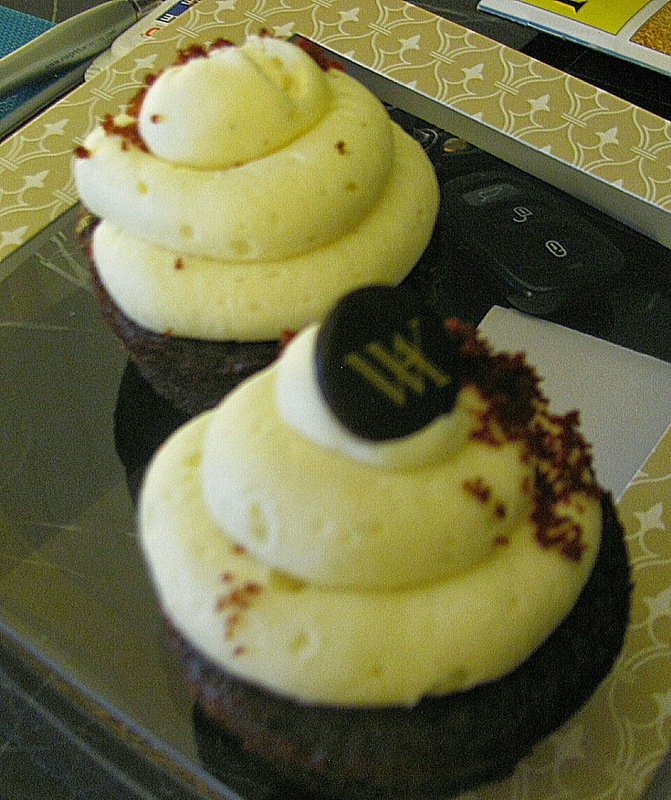 And what would a visit to The Waldorf be without a red-velvet cupcake. Yes, red-velvet was created here too. 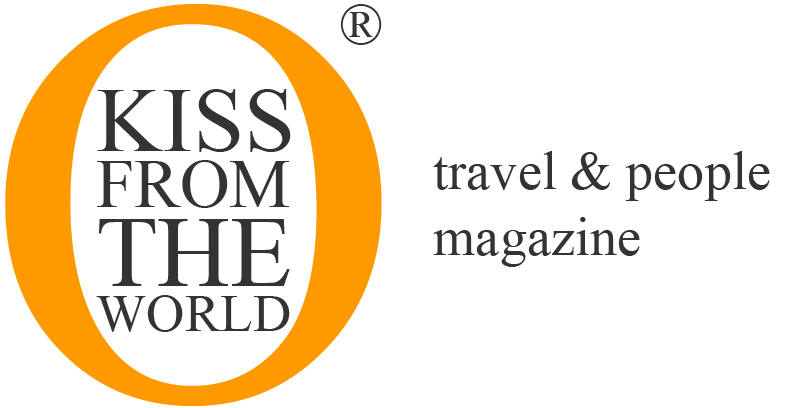 This is an amazing hotel with an amazing story. I have been there bu accident with my wife. We booked the hotel with Reservation Counter as we found it very attractive. Only after we returned home to Orlando we found about it.